The Dragon v2 capsule opens its nose cone right after it separated from the Falcon's second stage. It is then open for the whole flight until after the deorbit burn. So there appears to be a good reason to leave it open as long as possible. But why is it closed so late? If something goes wrong, would an open nose cone not destroy the capsule during reentry? 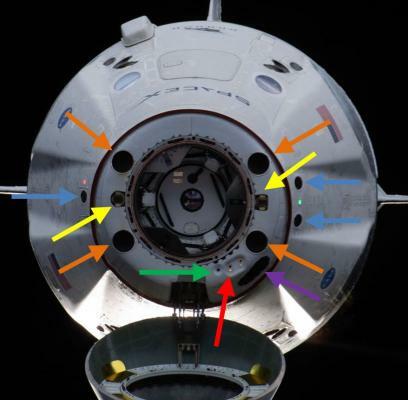 The nose cone for crew dragon protects not only the docking port but four forward Draco thrusters and the star tracker too. It has similar function to the Dragon v1 GNC bay door by protecting the GNC equipment when in atmosphere. So the nose cone stays open most of the time to allow for navigation. On top of that it looks like these four thrusters are the only ones that do not suffer from cosine losses which together with the thruster action shots captured from the webcast convinces me that they are the ones used for deorbit. I think I see in this video the "flame" of 4 draco thrusters interacting, captured by the front facing camera under the nose cone (I think it is the same one that showed nose cone closing). For the unprobable case when the nose cone fails to close or latch, it can be separated (probably with pyros? I did not find a definite source). The capsule can reenter without it (as Cargo Dragon does) but there would probably be some damage to what it was supposed to protect. Most of this is guesswork, some items have been confirmed. There are 4 draco thrusters that are covered by the nose cone. This allows for the de-orbit burn without having to rotate the capsule 180 degrees. The cover can't close until after the de-orbit burn. Not the answer you're looking for? Browse other questions tagged spacex reentry dragon-v2 or ask your own question. Falcon 9 1.1 demo flight (flight 6) - Was the second stage burn meant to test deorbit? Does Dragon v2 only have Superdracos as an abort system? What was the typical perigee after a shuttle de-orbit burn? 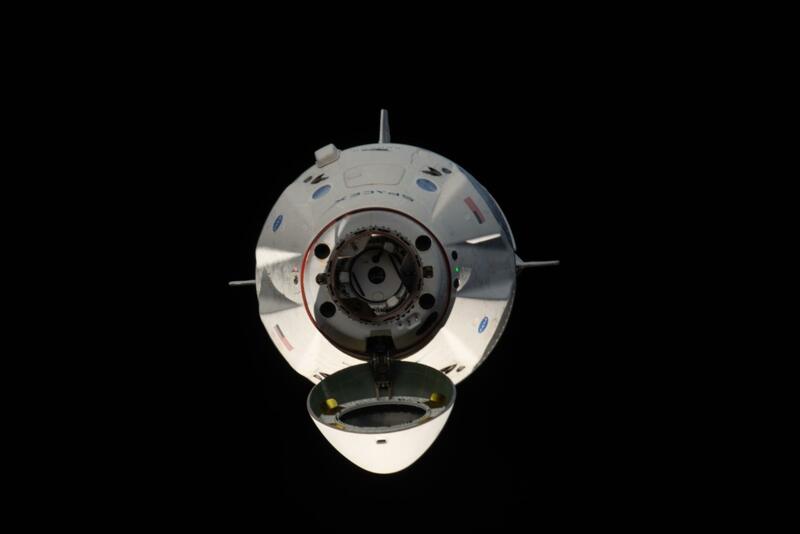 Could the Dragon 2 abort after trans-lunar injection? Why not jettison the nose-cone from Falcon Heavy side boosters for better control authority? How will they lower the landed side boosters after landing, if there is a nose cone? Is the unusual pattern/shape of SpaceX exhaust due to atmospheric pressure?